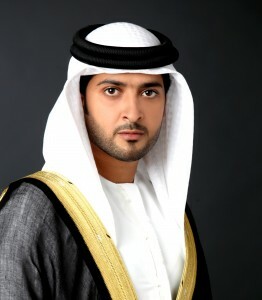 The third son of the rules of Ajman, H.H. SHeikh Abdulaziz Bin Humaid Al Nuaimi finds great pleasure in fulfilling the role he was born into: helping and working for the people of Ajman. 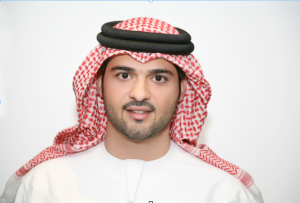 As the head of four different departments, including Ajman Tourism Development Department, H.H. strives to elevate Ajman’s prominence within the Arab world and ultimately on an international level. One of the mainstays of this effort is the Abdulaziz Bin Humaid Leadership Program, which provides critical strategy and management skills to youth from Ajman and beyond. Mohammad Al Haj is Chief Executive Officer for Mubarak and Brothers Investments (MBI), the venture capital firm that specialises in properties and financial investments in line with the UAE and Abu Dhabi’s vision. During his Seven-year tenure at MBI, Al Haj has played a key role in contributing to the long-term growth and success of MBI. He has actively spearheaded strategies that augment the development of UAE-based companies and global entities. Al Haj is a Board Member of several entities such as Ajman Holding, Universal Paints and Chemical Industries, and The Capital Club in Dubai. Prior to joining MBI, Al Haj was General Manager of OBS Group in Dubai. In this role, he was particularly credited for setting up and managing offices in GCC and other countries. 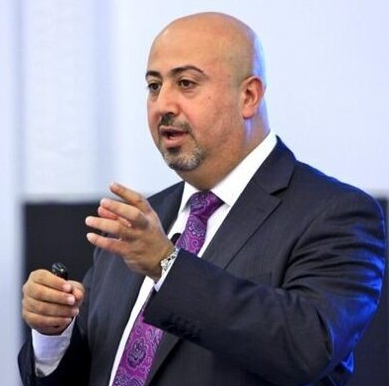 Mohammad Al Haj holds a Master’s in Quality Management from the Wollongong University in Dubai. Moath is with Al Fahim Group since 2015 as Chief Support Services Officer leading Corporate Excellence, Human Resources, Information Technology, Marketing & Communications and Procurement & Contract functions. Moath has 21+ years of cross functional and multi-national experience in diverse business settings viz. telecom, ITES, government, aviation, automotive, oil & gas, properties and hospitality. He has contributed to various verticals in the Business like organizational development, program management, leadership development, strategy, mergers, change management and communication. Moath is a Board member with Ajman Holding since the year 2010, helping direct the group of companies to be one of the leading business groups in the UAE. Ajman Holding was created to consolidate the various large scale infrastructure and investment projects that contribute towards Ajman’s economic, social and industrial development. Ajman Holding’s mission is to champion the growth of these sectors by providing a choice of opportunities. The emphasis is to empower entrepreneurs with a choice of opportunities, thereby allowing them to grow to the fullest extent of their vision. To realize our vision, we rely on our values as our guidelines.